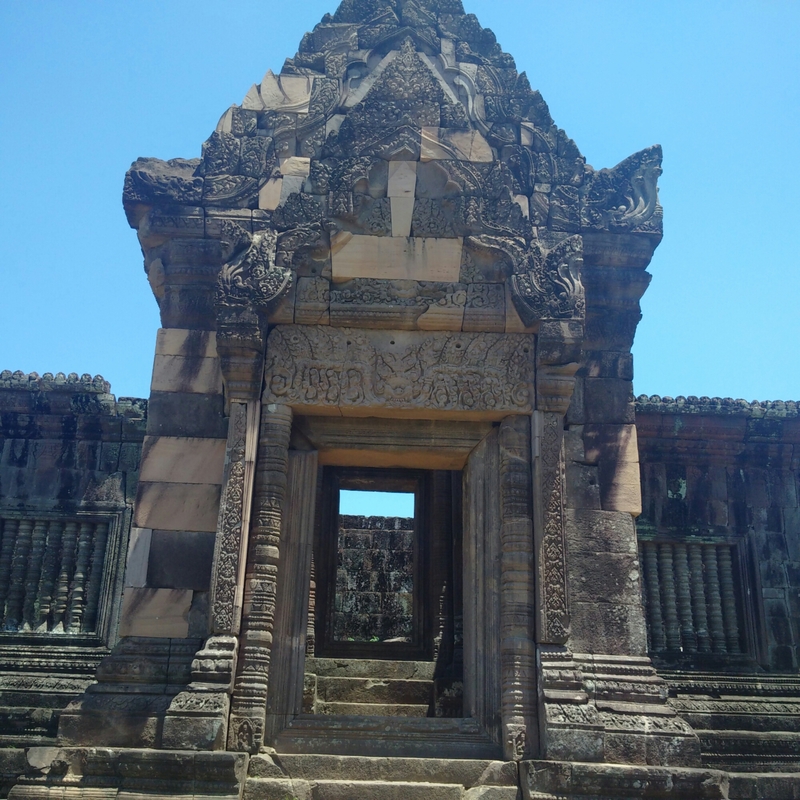 One of the most celebrated sites in south east Asia is the Angkor complex is Siem Reap, Cambodia. Tourists descend in their thousands to visit what is without question a bucket list attraction. This brings its own problems, the question of sustainability and damage to the monuments being foremost amongst them. From the selfish point of view it is also a tourist trap, meaning that there is no prospect of having any of the key locations to oneself. This doesn’t and shouldn’t put anyone off, for it is an astonishing place to see. 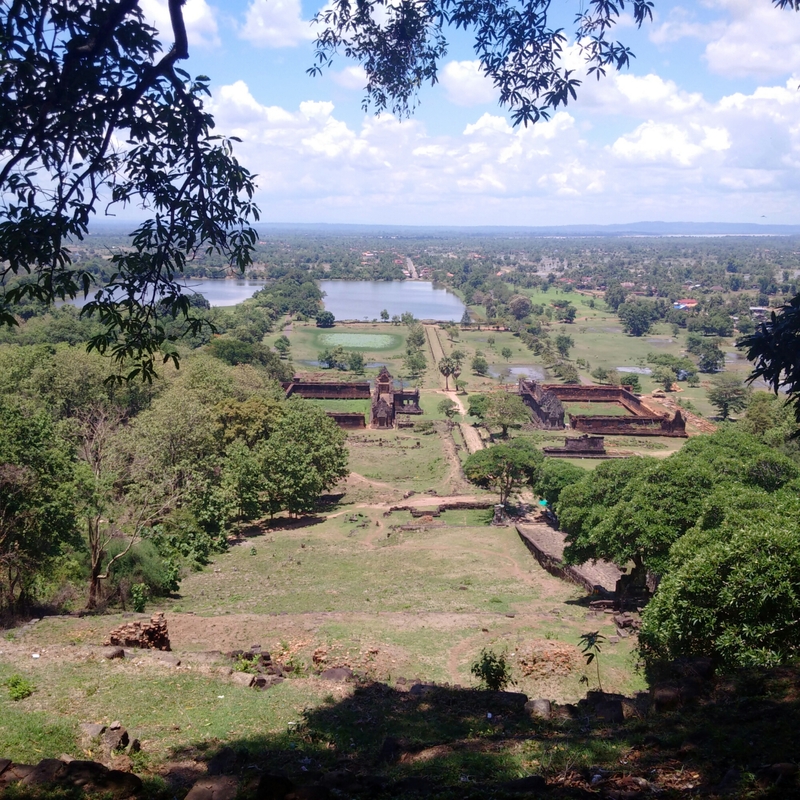 But Angkor is not the only Khmer location, and Vat Phu is a memorable excursion in its own right. 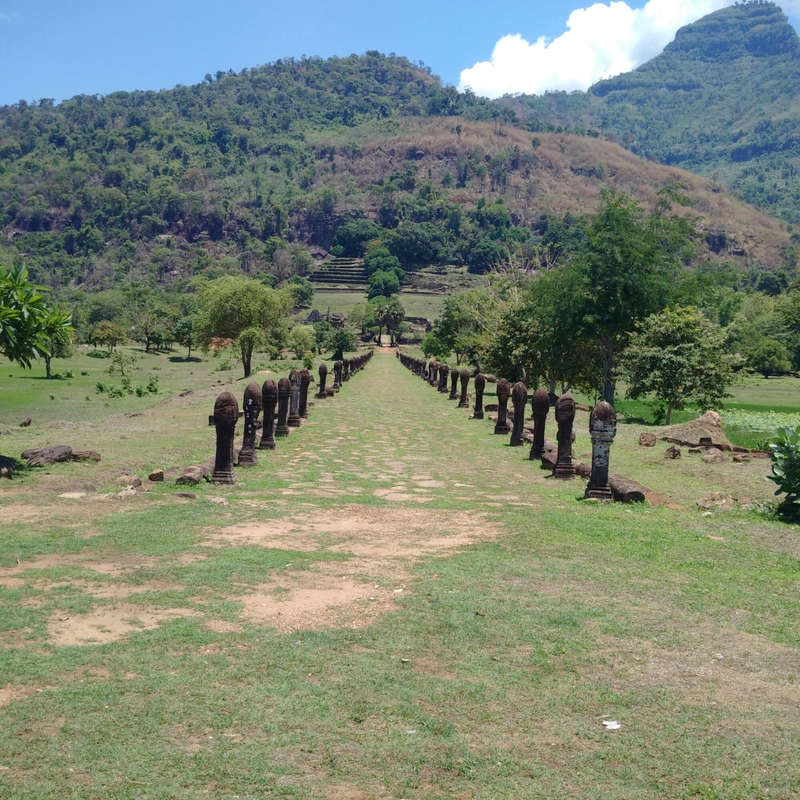 I am travelling in low season, certainly, but it was quiet and even peaceful, a reflection of the lesser accessibility and also the lower volume of tourists to Laos, and this region of Laos more specifically. 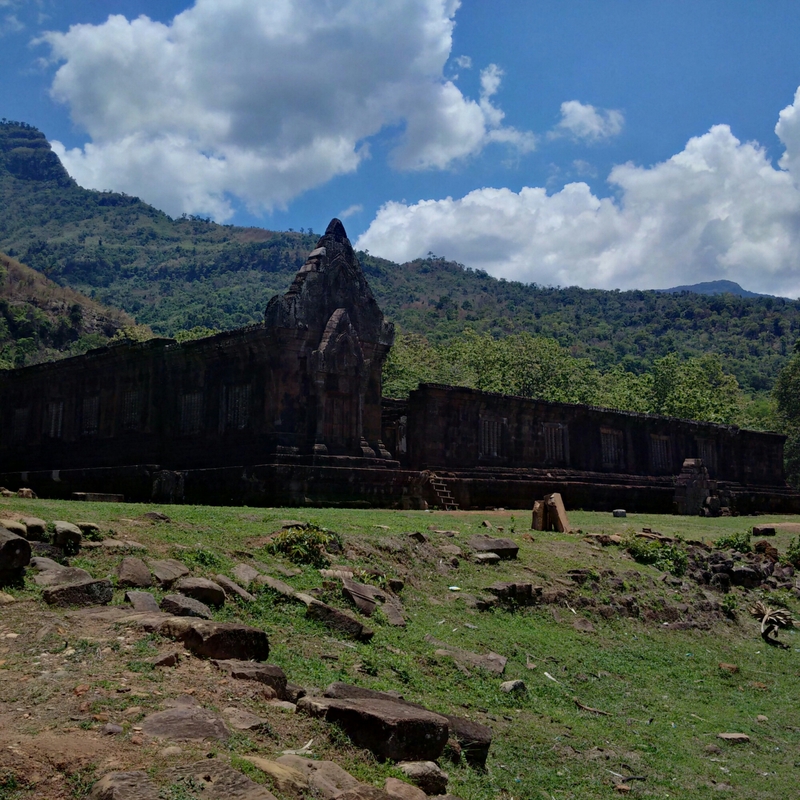 The structures were built on the lower slopes of Phu Pasak which ensures that as you climb, the views become ever more spectacular. It does require a moderate degree of fitness, particularly in the heat of summer. Plenty of water is advised, although a cooling breeze when you reach the top is even more welcome than normal. 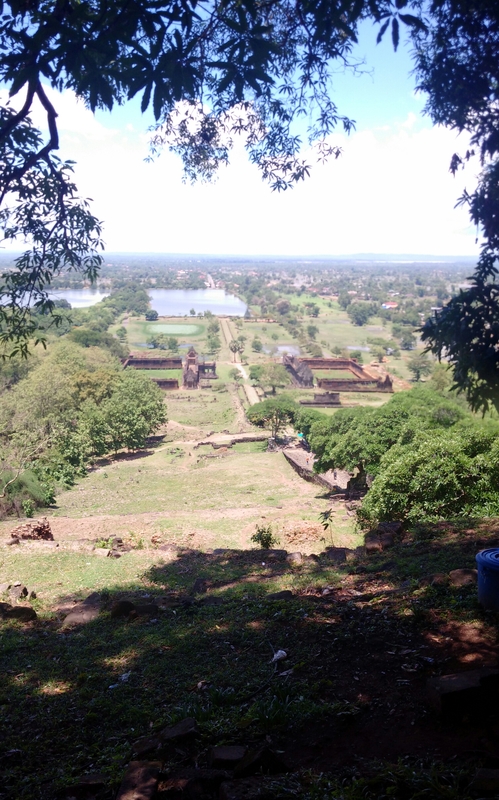 Some of the building was done as early as the 6th century, though the major construction was rather later. 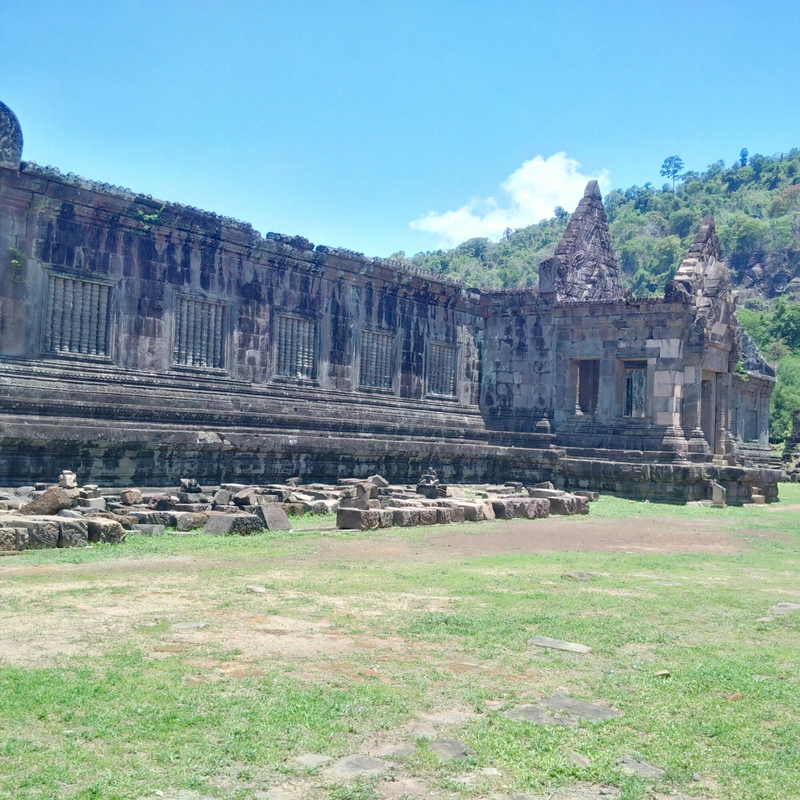 It can be seen as something of a precursor to Angkor, and was abandoned before completion. cale or ornateness, but the layout and views, as well as wonderful ancient monuments make it somewhere that should be seen and appreciated. The isolation and the relatively low numbers make it even more so. This is a magical place and perhaps more so for being so relatively unknown. As the Laos trip draws to a close, and with so many memories to choose, this was an undoubted highlight.